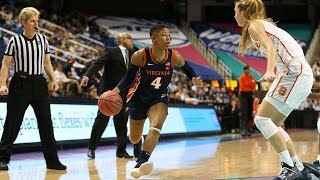 The Cavaliers roll past North Carolina A&T in the first round of the Cavalier Classic. 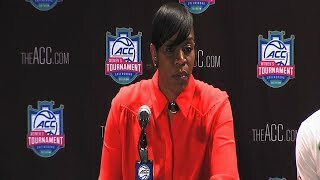 Head coach Tina Thompson and players address the media after the loss against Syracuse. 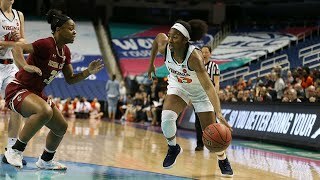 The Cavaliers fall to the Orange 67-57 in the second round of the ACC Tournament. 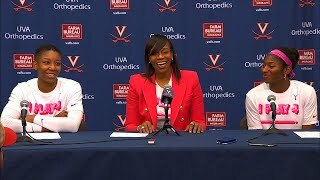 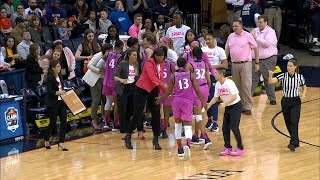 Head coach Tina Thompson and players, Dominique Toussaint and Jocelyn Willoughby address the media after the victory over Boston College. 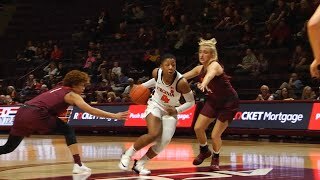 The Cavaliers defeat the Eagles 77-61 to advance to Round Two of the ACC Tournament. 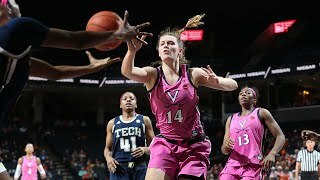 The Cavaliers end the home regular season with a victory over the Yellow Jackets. 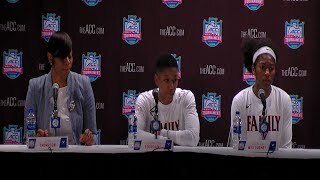 Women's Basketball - Princeton Post Game Presser Comments from Coach Boyle, Faith Randolph and Kelsey Wolfe following their win over Princeton to capture the Cavalier Classic Title.